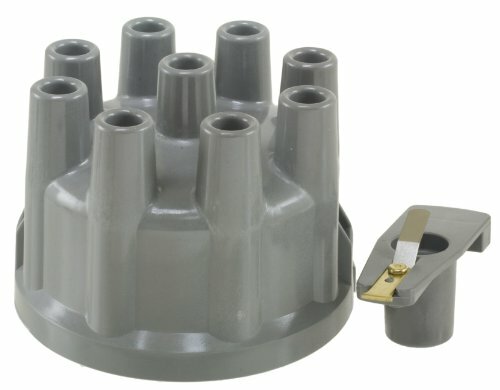 Fits 1962-70 Falcon; 1965-73 Mustang; 1965-73 Fairlane / Comet; 1967-73 Cougar; 1970-77 Maverick; 1966-74 Bronco; 1958-76 Thunderbird. 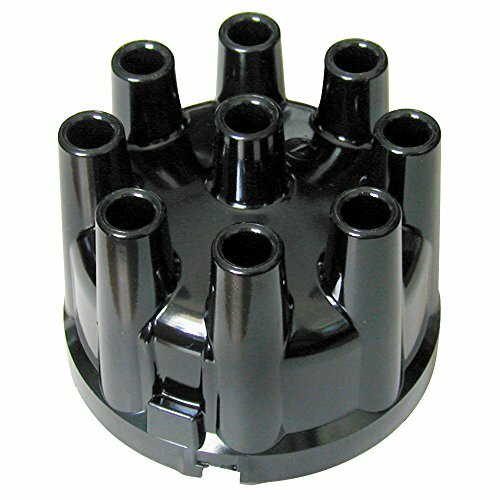 This dstributor cap for 8-cylinders is black with brass contacts - no logo. 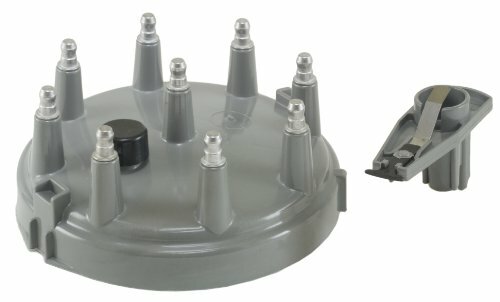 The Wells Vehicle Electronics Distributor Cap and Rotor Kit is designed to meet or exceed OE (Original Equipment) specifications in form, fit and function. It also decreases the chance for error by preventing confusion on what cap goes with what rotor. 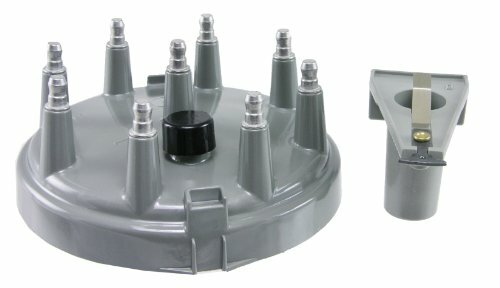 A distributor cap passes voltage from the ignition coil to the spark plug to ignite the air/fuel mixture in the engine's cylinders, making the power necessary to move the vehicle. 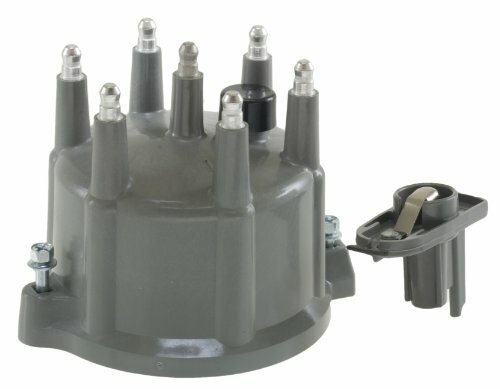 The Wells Vehicle Electronics distributor cap and rotor send high secondary current to the proper ignition wire. When not replaced, a vehicle may experience CEL (Check Engine Light)/MIL (Malfunction Indicator Lamp) illumination, misfire, internal engine damage, high fuel consumption, loss of power and/or failed emissions test. Every component either matches or improves on the OE design to ensure fast, easy installation, superior performance and reliability. 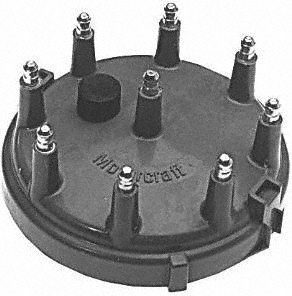 Motorcraft Distributor Caps are designed and tested to meet OE specifications for durability and reliability under extreme conditions. These capare molded from high density phenolic and polyester compounds for maximum strength and rigidity. They provide solid positioning and prevent dirt and moisture from entering the distributor. 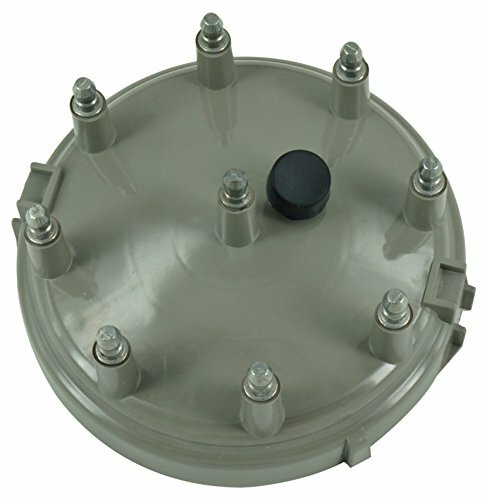 The Wells Vehicle Electronics distributor cap receives high secondary current from the rotor and the coil; each ignition wire is connected to the cap and those wires complete the current path to the spark plug. 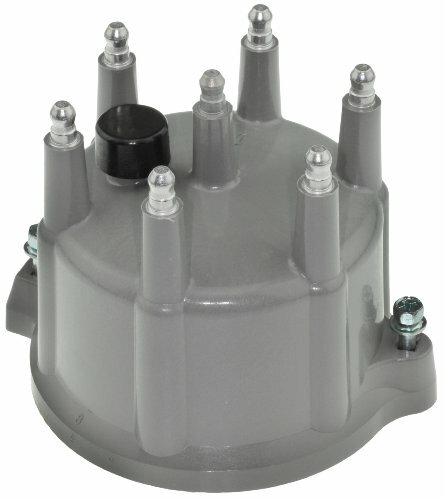 When it is not replaced, the towers on the distributor cap will either oxidize or corrode, creating a high secondary resistance which can result in rotor and ICM (Ignition Control Module) failure, reduced mileage, CEL (Check Engine Light) illumination, catalytic converter failure or a failed emission test. Wells Vehicle Electronics distributor caps are designed to meet or exceed Original Equipment (OE) specifications in form, fit and function. Every component either matches or improves on the OE design to ensure fast, easy installation, superior performance and reliability. The cap and rotor of any ignition system must be considered maintenance items. Just as you change the oil and filter of your car, you should always replace the cap and rotor as a set. 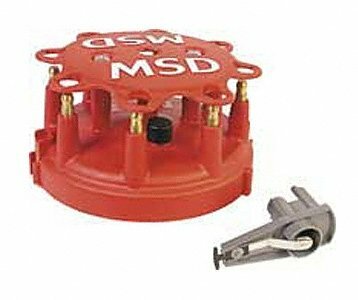 To make things easy, we now offer these cap and rotor replacement kits.